Aloha! Featured in our leading FTW Solutions Series is Jeffrey Wium of Wiumworks Media & The Heart of the Matter, and his new project Mana O Lana. Jeffrey’s first contact with FTW was in response to our global call for solutions to modern world problems. So it is a great honor to start this series off with what can only be described as one of the family. Recently, Jeffrey was asked to join a core group of individuals to birth an international retreat and education facility in Hawaii called Mana O Lana (Bringing the Gift of Hope). This community-based project is being established as a self-sustaining retreat and educational center whose focus includes, world wisdom traditions, re-establishment of feminine consciousness principles, holistic land stewardship, bio-diverse agriculture and herbal medicine practices. Once complete, this multi-phase, 2000-acre project will contain land dedicated to educational and retreat facilities, community housing and diversified agricultural as well as conservation and spiritual sanctuaries. Up until the mid-1800s, Hawaiian communities cared for their land through holistic management systems in which all of their food, clothing, shelter, tools and seafaring needs were sustainably cultivated and maintained for the good of the community. As experienced by most indigenous cultures, when westerners overtook the land, they introduced large-scale monocropping techniques that eliminated self-sustainability and disrupted the lifeways of the native peoples. 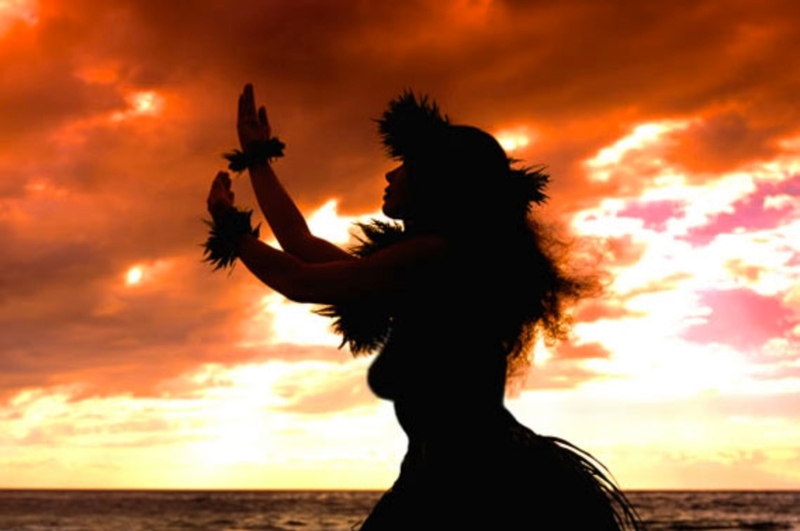 However, the native Hawaiian culture has remained strong through the dedication of the Kapunas (wisdomkeeper/healers), integrated local culture and the extended geographical isolation of the islands. In recent decades, several community-based organizations have held conferences and developed sustainability protocols to help restore the islands to a more self-sufficient economy. The Mana O Lana project is perfectly suited to set precedence as the first such comprehensive operational model and education facility based on established, sustainable land management practices. – An eight-acre botanical garden divided into individuated mandalas to showcase a diversity of cultural and traditional healing systems: Hawaiian, Vedic, Chinese, Mayan, European and Native American plant medicine modalities – to name a few. – A 200-room center offering visitors, interns and community residents Transcendental Meditation programs, cognitive lifeways training and courses from various world wisdom traditions. – Special purpose: Mana O Lana will be the permanent home of the TM Mother Divine Organization to fulfill Maharishi Mahesh Yogi’s request that this be done in Hawaii, and for the purpose of re-strengthening the feminine consciousness principles as a guiding force for the planetary evolution. The current owner/seller of the land intended for the Mana O Lana Center has also been approached by a multi-national GMO corporation that is attempting to purchase large tracts of land and overtake the island’s agricultural community with its genetically modified seeds and the institution of patent-based litigation practices to disrupt local food production. The landowner is not in a rush to sell and is selective whom he sells to. He wants a buyer who is spiritually minded, one that will listen and live with the land in peace as well as be sensitive to local culture instead of trying to push a dominant agenda. Mana O Lana sees this alignment as an auspicious opportunity to realize the creation of a facility that will preserve and promote holistic knowledge, propagate balanced energetic principles, and assist in the overall development of human consciousness while supporting and maintaining the integrity of the local landscape and her diversified inhabitants. Concurrently, alongside the Mana O Lana project, Jeffrey Wium is in ost-production of Wisdo mkeepers: Paqo Andino, a feature documentary film chronicling the celestially integrated cosmology of the Andean Willaq-Umakuna lineage. 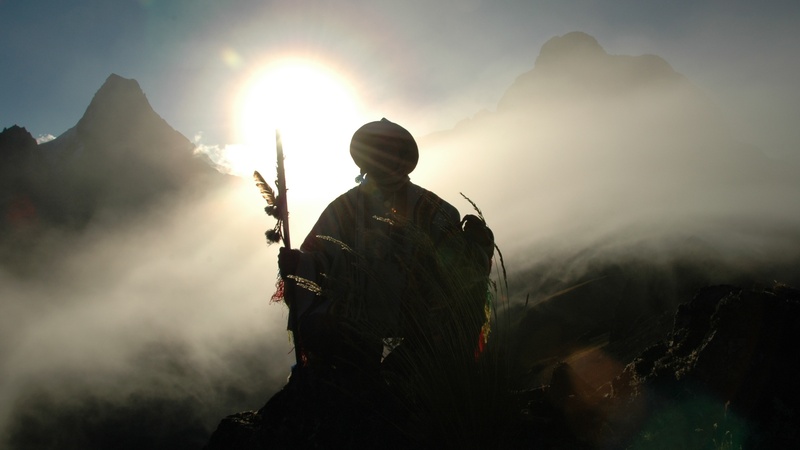 Filmed on location in the Peruvian Andes, this unique film provides unprecedented access to the practical and esoteric lifeways of the Andean Willaq-Umakunas and the holistic consciousness they have been stewarding for humankind for the past 13,000 years. The film is being birthed out of a responsibility to pass along ancient heart wisdom to whoever holds an interest in living consciously. 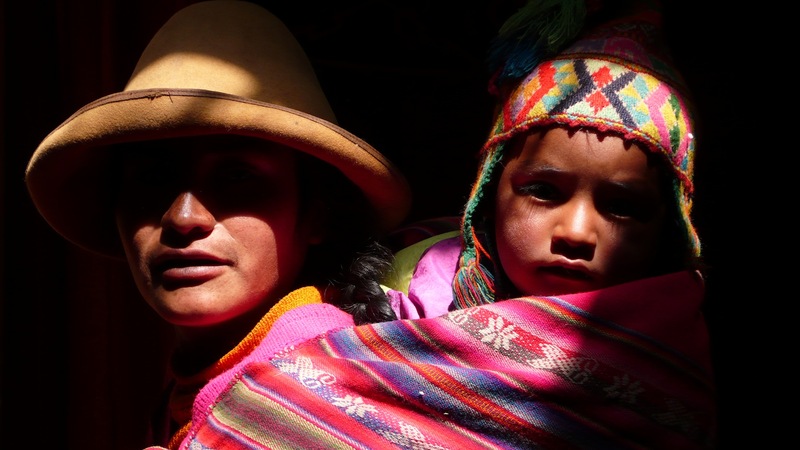 The producers, Wiumworks Media, Beyond Boundaries Institute and their Andean colleagues invite viewers to experience an invitation into a way of living long forgotten by modern cultures. Jeffrey Wium, a western born Willaq-Umakuna has been tasked by the lineage to convey humanity’s ancient heart wisdom via programs, retreats, pilgrimages and media offerings. THE HEART OF THE MATTER is a series of cognitive spirituality programs rooted in the holistic lifeways and sacred teachings of the Gnostic Saints and Andean Willaq-Umakuna, also known as Altomisayoqs (alto-me-sigh-yokes). These rigorously trained and tested traditions are ancient, unbroken lineages of spiritual intermediaries who maintain direct communication with the celestial, terrestrial and elemental realms in order to support spiritual awareness and productive harmony among people, communities, organizations and the natural environment. These tradition’s worldviews, founded on the inter-dependent union of sacred masculine and sacred feminine energies, recognize that wisdom is not something sought after in the mind, rather, it is found in the intelligence of one’s heart, manifest in the sanctity of daily life, and embodied through the joy of service, personal faith and the grace of Awareness. These ancient teachings are being brought forward at this specific time to assist individuals, organizations and families to reconnect with their innate, animistic nature, re-establish deeper purpose and meaning, increase overall well-being and ultimately, help evolve spiritual consciousness. The content and practices presented in these programs are not a form of religion, nor a condemnation of modern living. On the contrary, they provide a basis for reweaving unified consciousness and an interdependent life paradigm through conscious relationships with one’s inner and outer worlds. These program offerings are not limited to those seeking to associate themselves with any path per se, they are in actuality, a universally accessible and translatable means of refining consciousness, illuminating the unseen and integrating spiritual comprehension into everyday life including one’s business practices. 1b) Contingencies: At first there will need to be a form of re-education and ‘temporary regulation’ to insure a service-to-others paradigm is created as a base format. Basic step, 1: clear all needs/debts/difficulties and reduce workloads to free up time for passions. 2: form a clearinghouse on local, regional, national, continental and global levels to make tasks available to all. 3: once in the system, and functioning, then one can gain access to prosperity funds. 3b: Alternate options are for those who wish to create educational/functional/commercial operations (create jobs and products, especially re-education systems). Time and or energy (in any form) must be put forth to have the opportunity to spend one’s funds – pay to play (invest life force to qualify to purchase = re-educate to collective responsibility, away from capitalism/non-impact awareness mindset). Equality income scales and the complete removal of corporate profit structures. Use a type of Kickstarter model to bring investment from the people in the form of time/energy/money (from their own prosperity funds), for a proper income in return and responsibility from partnership/work. Investment opens opportunities to receive form others. Once the clearinghouse is in place and functioning, provide opportunities for people to expand and be creative, do alchemy to create new systems with test periods and trail investing. Create thresholds for high-function and ‘pass’ those creations that meet critiria. At the education level, our old, repressive education system needs rebuilding from the ground up to produce unified mindsets from the start. It will take at least 15 years to see its first students fully functioning. There will be die back during this period and evolutionary replacement. – Set up an international center to co-manage projects with subsets for all aspects of life, from food production to interplanetary integration. – Erase debts, utility bills, transportation and similar hardships: provide food ‘coupons’ to establish a base line. – Continue to form re-education core group and extended councils. – Re-configure from service-to-self to service-to-others. – Establish unified principles to replace dualistic paradigms and ideologies of separation and limitation. – End result: collective-level, high functioning society born of abundance. 1. Establish core team with concentric, multi-cultural support systems. 3. Develop regional operations and train local personnel. Create strong bonds between core HQ and web of operation with access to international (interplanetary) opportunity. 4. Integrate educational/spiritual paradigm material and operation models with high-functioning systems found today (Waldorf, Montessori, TM University, Summerhill, etc). 5. Integrate trained personnel to co-function at school levels, removing and reassigning ‘old’ system personnel as needed to clear blockages. 5b. Establish specific schools based on intent: intensive schools, integrative schools, schools or classes within schools to allow for opt-outs based on differing ideologies. In time, example will invite those to see high-function at work. No force. 6. Expand school locations/conversions as needed. – Empowerment of local personnel. 3) Alternative Question: I look to high-functioning individuals who have had a practical effect on their ‘students’. Adyashanti, Gungaji, Sadhguru, Marharishi and The Dali Lama come to mind in the spiritual realms. People like Rudolf Steiner, etc. in the education fields. It has been my overall journey to merge ‘east and west’ and develop ways to use western models to address the limitations of industrialized mindsets. The main body of work is to introduce practical methodology into western education to guide it to embody ‘spiritual’ principles of cognition so that unified consciousness, ascension, collective awareness, etc. do not appear foreign or threatening. Overall we must look to those who have lead the way, the Light Bearers, and use our own capacities to instigate the golden age. Individually we can only reach a small audience; collectively we address our planetary needs and then extend out into our role as galactic humans- helping out, outside of our sphere. Jeffrey Wium is a K’anchaq Allkureq~Willaq-Umakuna in the Andean Holy Mountain Tradition, a retreat facilitator and filmmaker. He lives with his wife and two children in Hawai’i. How to contact these programs and people? Please go to http://www.theheartofthematter.eu/THM/HOME.html for more info about these programs. There are 2 wonderful short films depicting the full-length feature that will be coming out in theatres soon. Thank you for your continued support – we appreciate you! !